1. Hire a van and do all the work yourself. Are you comfortable driving a truck on likely busy highways and narrow streets? If you’re fit enough and you have the strength for it, then this just might work for you. There are a number of truck sizes you can choose to rent, and they usually charge by the hour. This means you will have to move very quickly, and there can be no room for errors because the clock and the rental agreement starts ticking as soon as you drive off the lot. This option is good for an across town move or out of an apartment into a new Fort Worth home. 2. You can hire out the packing, lifting and loading. You still need to hire a van but a loading crew will be doing the lifting and loading this time. Like the first option, this is also under time constraints, so it is critical that you schedule everything as you don’t want to be paying for people to wait around. 3. Hire a driver to add to any of the first two options. This can save you from the trouble of driving a truck on crowded streets. Remember that this will also add to the cost. 4. Hire a container. This is usually called a “pod”, “cube” or a “box”, depending on the company you are calling. They fit at the back of a trailer or a tractor rig for easy moving. It is a brilliant concept where a container of a specific size will be delivered to your home, so you can then start to pack and load your belongings yourself. Once finished, you will just have to call the company to pick the container up to be delivered to your preferred location. This could be your new Fort Worth home or a storage company. Hiring a container allows you the most control over the entire process. 5. We have found it's the best use of time and money to hire professionals to do the move. Moving is very stressful and having the pros do the "heavy Lifting" is worth it. 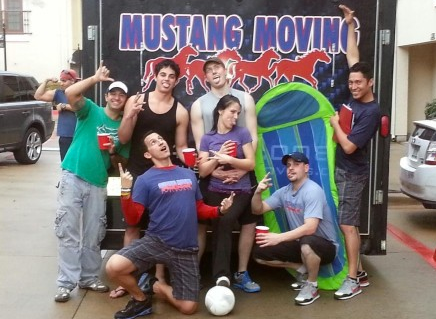 I have used Mustang Moving twice and they are the best I've ever used. This would be the sensible decision to make. 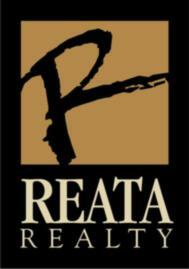 Tell them The Reata Realty Group sent you and use the code "Reata"
The decision is always up to you. Make a checklist of all the things that is important to you, and make sure these things are met when you contact the moving services you will be hiring. Here’s a FREE e-book I have written that covers all the tips and guidelines you will need when moving:The Sensible Approach to Moving. Download your copy today!